The Gathering of Embers is an event that almost nopony had ever heard of. Thankfully, learning about ended up being a worthwhile experience. Spring will be sprung. Get ready for a royal party with some medieval flare! Also, we are going to be extending the art contest indefinitely, to a date that will be announced following the release of Euphorius (and in case you haven’t figured it out, this post is teasing that it may be very soon. We are officially in the home stretch. ), because I feel that actually getting it into your hands will be the best way to help you grasp the theme (given that it’s a bit more off the radar than just “dress like you’re going to the dance party at your local pony convention). 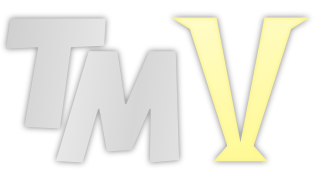 The TrotMania forum has become a key resource for our community, for both our players and fans, as well as the staff (I’ve personally used it for internal recordkeeping and discussion, although we’ve increasingly used chat for that too). Recent issues with the current implementation of the forum, however, led me to wonder if we could make it even better. With that in mind, we did just that. 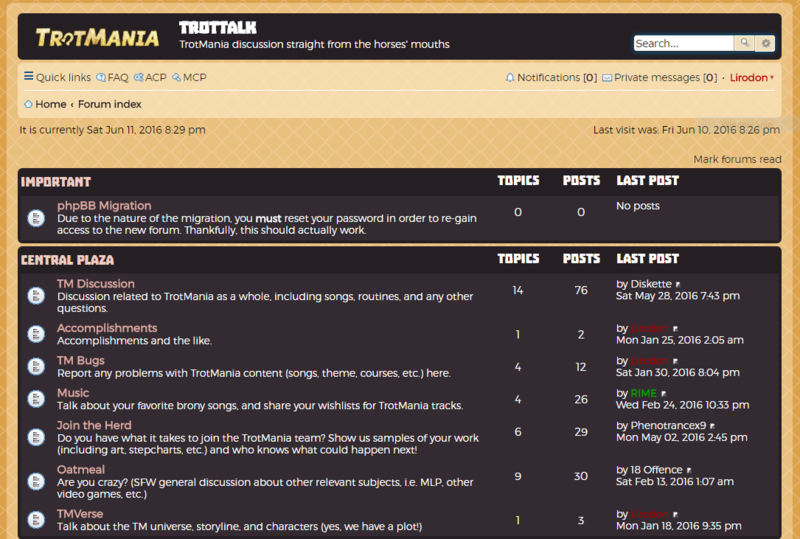 TrotTalk is the third generation of the TrotMania forum. It’s built on a more robust and well-known platform with a lot more functionality than the previous one (and in fact, it’s also the latest version of said platform, specifically phpBB. Shockingly, they’ve actually done a good job of reworking things under the hood. It’s smartphone-friendly too). It’s a bit more traditionally-styled, but I’m sure that you’ll grow accustomed to it over time. Now, please note that due to the changes, you will have to reset your password. Ironically, the inability to do this correctly was one of the factors that led me towards doing this, but one of the users who had issues with it told me that they were able to get back in. If you are having difficulty (I know for a fact that anyone using a Microsoft-controlled email will have issues), inform me (preferably on the TM chat room) and we’ll try and work things out manually. Be sure to go through your settings and profile after you get in, too. 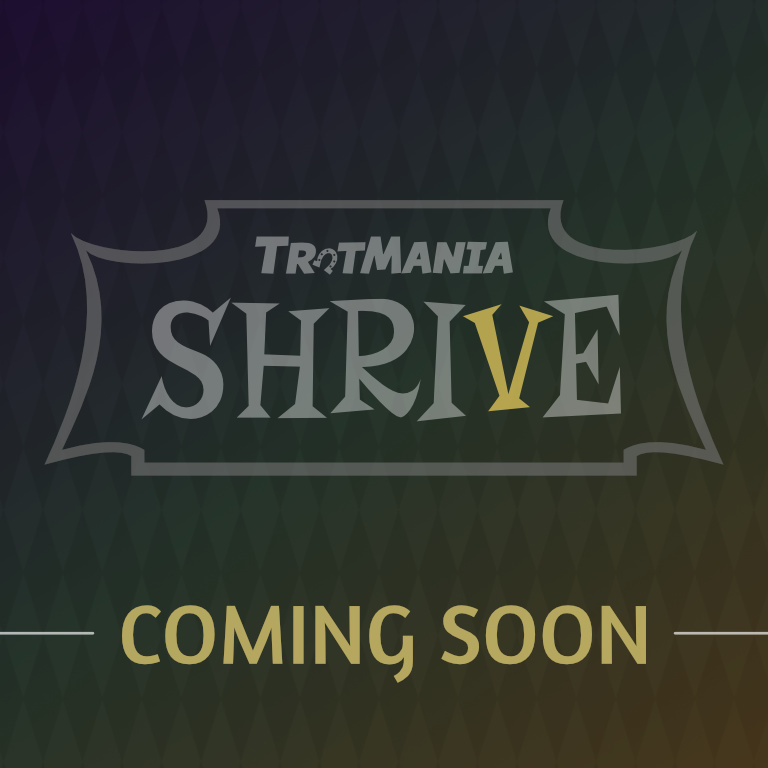 TrotMania is invading PonyvilleFM again, this time as part of their 5th anniversary! It’s going to be a fun weekend, so be sure to stay tuned. Especially for us. Have a happy, and rockin’, 2016!